When it comes to the best Beretta PX4 Storm Compact Holster, there are quite a few factors to consider. After pitting a few holsters against one another, I have narrowed down to the top 5 that you should consider. They have been chosen based on their quality, durability, ease of use as well as some other factors as laid out below. A good holster will be a master at concealing your Beretta. In addition to giving you the advantage of springing a surprise on a potential attacker, effective concealment will also save you any discomfort in public if your Beretta gets exposed accidentally. The main purpose of a holster is so you can carry your Beretta around with you at all times. That is why you’ll need something that you will be comfortable wearing. For example, ankle holsters can be uncomfortable when they don’t have much padding which causes the Beretta to be hitting your ankle bone. At the end of the day, it comes down to personal preference so look into how comfortable you’d be with a certain holster design. While your holster should effectively conceal your Beretta from public eyes, you should still be able to draw it with ease. Your holster should allow you the ability to grip your Beretta firmly while releasing any retention devices. Ideally, your draw stroke should be a straight-line draw, lined up with your sight. Since the PX4 Storm supports ambidexterity, you should find a holster that allows you that flexibility in this aspect as well. There is the possibility of an attacker attacking you close range, which means that you may have to engage in physical combat. For this reason, your holster must be able to retain its hold on your Beretta even while you are physically fighting off your attacker until you get the chance to draw the Beretta from your holster. Understand the three levels of retention – the first being a simple strap and thumb break and the second being a strap and an internal retention device. Level three can include a push-button which activates a hood shroud but this level is not usually advisable or even suitable for concealed carrying as it is typically bulky and big. Your holster must be specially designed for your Beretta PX4 Storm for it to be custom fitted to the gun. This will have added benefits on retention and ease of access as well. Not only does this refer to workmanship, you need to consider the materials used as well. Don’t sacrifice quality when choosing the right holster for your Beretta PX4 Storm because you might be the one paying the price for settling for less. When it comes to choosing the right holster, choose one that is well-made and made of high-quality materials. Your holster’s trigger guard should be covered, and the holster you choose must not depress the Beretta’s safety. The obvious reason for this is that you don’t want the holster to accidentally cause your weapon to fire in moments when it’s not supposed to, like when you’re engaging in physical defense. Find a holster that is rigid enough that the trigger guard and safety of your Beretta cannot be accessed or depressed at inopportune moments, despite the fact that the gun itself offers safe mechanisms for this purpose. You should be able to re-holster your Beretta quickly and easily with one hand in case you need your other hand for defense, first aid, or pulling someone else to safety. Concealed carrying holsters should be able to allow you to draw and re-holster using only one hand in case of these instances. The holster that you choose for your Beretta PX4 Storm should be easily attached and detached for your convenience, but not to the degree that it will lose you your weapon just when you need it most. Just remember that you’re more likely to leave it at home if you find that it is not that easy to attach or detach from your body. You need consider the type of clothing that you typically wear where you live. Obviously, your clothing style would differ each season so find a holster that will accommodate these changes. Don’t sacrifice comfort and access for fashion, as it may make or break your own safety. Men and women are built differently, and some holsters may not put this into consideration. Some holsters that are convenient for men may not be as secure or comfortable for women, so take into consideration your own anatomy and comfort once you put on the holster. While the Beretta PX4 Storm is easy to handle for both men and women, you should find a holster that will accommodate your own needs as well. Included in the vital things that you should note are Armpit to Hip Distance, Width of Hips, and Physical Strength. Your holster should allow you to move freely and grab your Beretta at a moment’s notice. This holster is specially made for the Beretta PX4 Storm, both compact and full size. There is no maintenance needed for this holster as it does not breathe or sweat and there is no need to oil it. It can withstand the elements and can be washed with just soap and water. The Paddle Version is attached using a rubberized paddle and is relatively low profile and lightweight for your carrying convenience. This is made for a right handed shooter and has great retention and comfort. Specially made for Beretta PX4 Storm, so it has great retention and offers a custom fit. 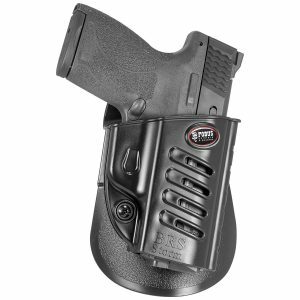 No rattling and your PX4 Storm will lock in and lock out perfectly with this holster. Curved paddle makes the holster fit comfortably at your hip and it is also slightly padded for added comfort. Quite comfortable for a polymer holster. Comes with a lifetime warranty and have a 100% customer satisfaction “no questions asked” policy. Low maintenance as compared to other holsters made from different materials. This one only needs to be washed with soap and water. It can stick out a bit but if you have a bigger and wear bigger shirts, then you may be able to conceal it better. This holster is made for right handed people and straps to the right side of the body. The Beretta PX4 Storm supports ambidexterity, so you may have to look for a different holster if you’re left handed. Whether you decide to carry your Beretta PX4 Storm concealed or unconcealed, this holster may be one of your best options as it’s designed for both. It’s effective for military or police personnel carrying guns visibly as well as civilians and those who are off duty or undercover. 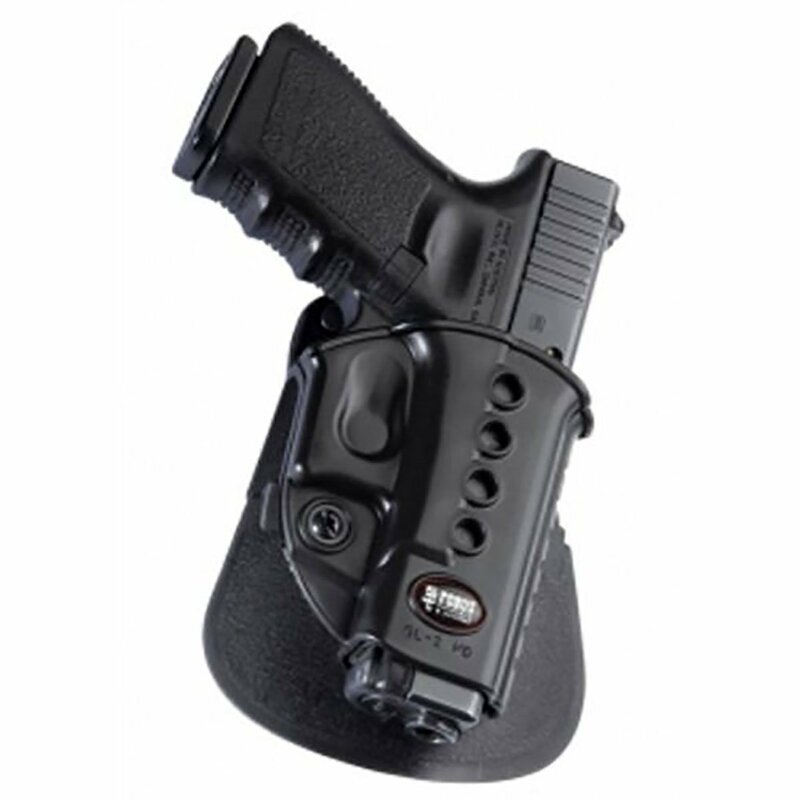 This is a durable black polymer holster designed for right handed people. You can easily adjust the tension with an allen key which is also included when you avail of the holster. It rotates 360 degrees for every sort of application. The fit is comfortable as it is contoured. It is attached to where you trigger finger instantly goes when you’re ready to shoot. You can draw it quickly and easily, you just have to press the lever before removing your Beretta PX4 Storm. It is also made for other Beretta PX4 designs. 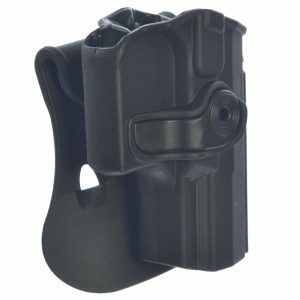 This holster design is used by the most elite units in Israel. It can present a tight fit, making it a little harder remove if you do intend on using it in a multi-functional manner for other gun models. As advertised, this holster is ideal for Beretta PX4 variants so if you stick to that, and just use it for your Beretta PX4 Storm Compact, it shouldn’t pose a problem. Unlike the previous two, this holster is designed for both the right handed people and lefties out there. The one for right handed people is designed to be attached inside the user’s waistband at a 3-5 o’clock positions. The one for left handed people could be worn at the 7-9 o’clock positions. The soft suede backing of the holster allows it to be sweat proof even when in contact with your skin. It is also flexible and comes in a rounded profile for easier movement. The stitching is Kevlar to ensure that this holster lasts a long time with you. You can adjust practically everything with this holster: retention, ride height, and cant. You can customize it to fit your every need. Not only is it comfortable to wear, this holster will also allow you to quickly deploy your Berreta PX4 Storm even when you’re concealed carrying. 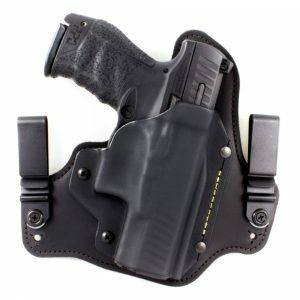 This holster is made from high quality materials and is specially designed to cater to your every need for a holster. It is well-made to ensure its durability and will last long because of its Kevlar stitching. It is also very concealable, and supports quick drawing from where you are wearing it, so if you’re a plainclothes officer or just don’t want anyone to notice that you are carrying, then this is a good holster option for you. It is designed for both right and left handed people. The leather of this holster may be a little thin, thus affecting its retention. This holster is also available for both right and left handed people. It’s supposed to be worn inside the pants (IWB) and is not fit for any other way of attachment. It is made from genuine leather and the processes of making it into a holster (hand dyeing, handcrafting, hard-molding) are specially designed to help the leather retain its qualities and is sealed in with a protective clear coat. It is also made with the balance between quality and cost in mind. The workmanship is of a higher quality than others in the same price range. Made from high grade leather that fits the Beretta PX4 Storm Compact well. It’s handcrafted in the USA from genuine leather. Retention works well in the beginning, but after some general wear and tear, it might give a somewhat looser fit. It does not have a strap to secure the gun when the need to physically attack the assailant calls for it. This concealment holster is made especially for the Beretta PX4. You can draw and re-holster easily and quickly with this holster’s design. It is made from molded polymer that is sleek and lightweight, ideal for concealed carrying. It has a Level II retention and a belt loop platform and a paddle platform are both included with the holster. 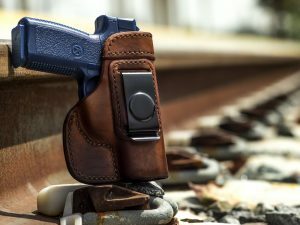 You will hear an audible click once you re-holster to make sure that you put your firearm securely inside the holster. This holster has a release button and your Beretta PX4 Storm cannot be drawn until you press it. You can choose between a paddle and a belt slot or even alternate them, whatever works best for you. It is great to use whether you’re open or concealed carrying, and remains comfortable however way you choose to wear it. The cant, the retention and the draw angle are both adjustable for your comfort. Sturdy, well-made and will last long. Smooth release allows your finger to be in the ready position when you draw. Rides a little high, but still comfortable. Laser turns off when you holster your PX4 but reverts back to whatever setting you put it on when you draw it. The only disadvantage of this is that you can give your position away the moment that you draw your firearm, especially if you left the laser or the flashlight on. Finding the most suitable and fitting holster for your Beretta PX4 Storm won’t be too hard given the options you can choose from. My final verdict? Go for the Fobus. It’s easy to maintain, is sturdy, durable and does the job. Of course, if you’re left-handed, you would have to go with another one. My top pick would be the Black Arch Hybrid in this case. Overall, pick one that you know you will definitely get a lot of use out of and not leave at home. the hyperlink for the BlackHawk Serpa Concealment Holster is not correct. It takes you to Cabellas, but the holster is not the holster displayed in your article. I am interested in purchasing the holster. Can ypu fix the link? live in florida, shorts & t-shirts need IWB or even shoulder holster any ideas?